Lawn care in June is mostly about the mowing schedule, stepped up to twice a week if the conditions are promoting growth. You can still treat the established lawn containing weeds and moss with a lawn fertiliser, weed and moss killer such as Rolawn and remove by hand or spot treat coarse grasses and weeds. Aerating or spiking the lawn will help get water and air to the roots in dry periods keeping in mind the summer droughts we have been experiencing. If you are thinking about creating a new lawn you can prepare the area now but the lawn is best started in August to September. Mulching is beneficial in dry weather. 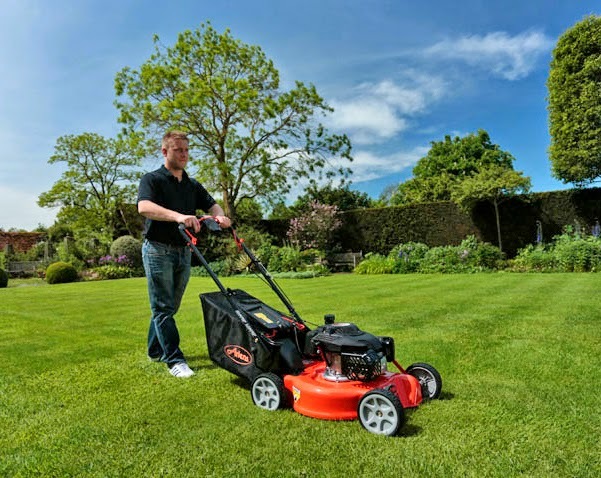 A mulching cutter deck on the lawn mower or your garden tractor is designed to cut grass trapped in the deck over and over again to return the fine cuttings to the lawn where it will do two jobs. Help to protect the cut grass from the sun’s rays and it will fertilise as it rots down. If you are in an area with a hosepipe ban there’s little you can do in the way of watering because the grass needs a very good soaking to get deeper soil really wet so that when it starts to dry out on the surface, the grass roots push deeper to get the moisture. If the dried out lawn goes brown in the sun it is nothing to worry about, grass is very resilient, it is only dormant and it will quickly recover given some good, prolonged rain spells.